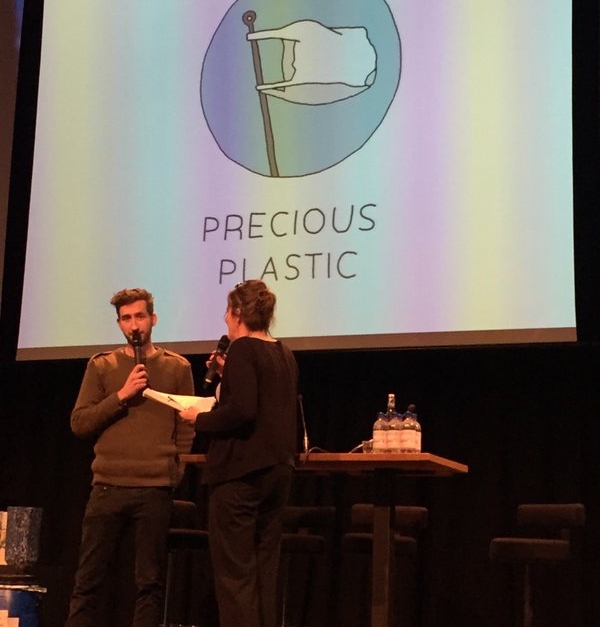 On the 26th of January 2016, we organized an evening around practices, innovations and possibilities shaping our future relationship with plastic waste. Plastic is now recognized in our geological record. Rocks termed ‘plastiglomerates’ represent these engraved signs of plastic’s pervasiveness in a new anthropocene era. 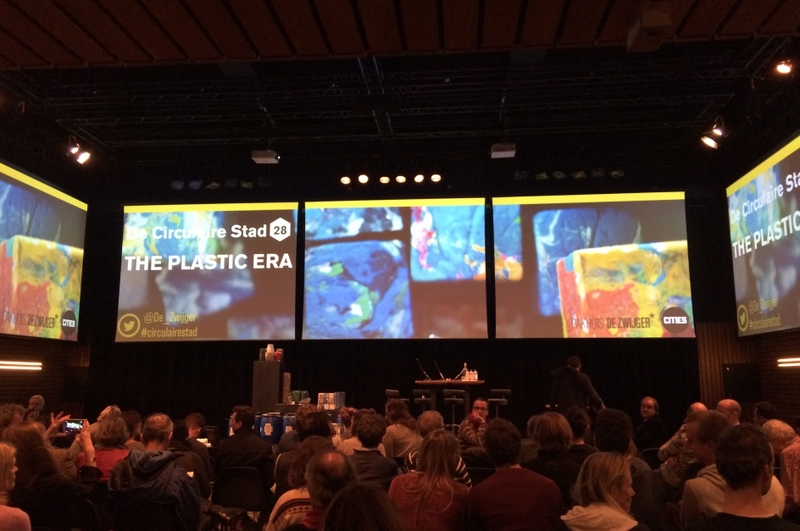 On 26 January 2016, we celebrated our shared plastic addictions at the Pakhuis de Zwijger. The goal of the evening was ultimately to place present circumstances in new light, and to explore, discuss and debate our shared opportunities for shaping a more sustainable future relationship with plastic waste. 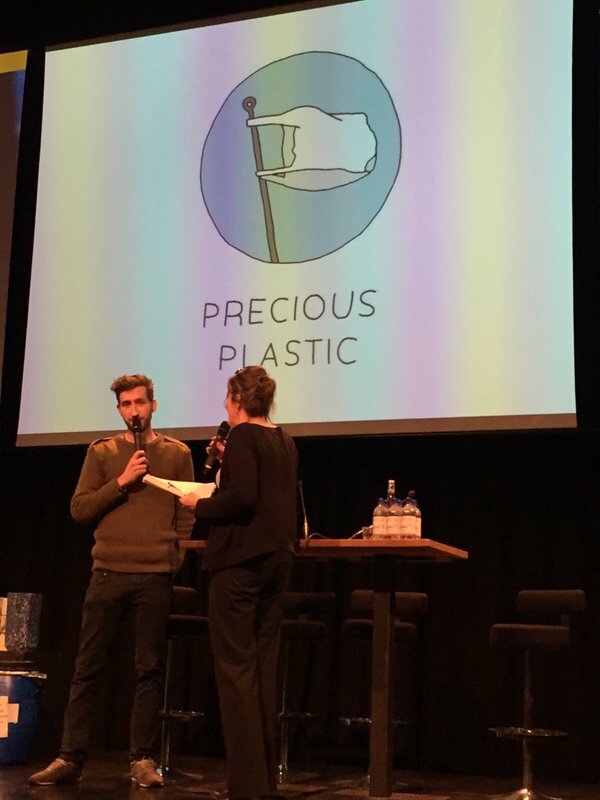 We approached these ends by talking about plastic as material, connector and politics – about (re)use, building community, sustainable management and more. An evening full of information and inspiration unfolded together with diverse leaders in progressive plastic knowledge and practice. 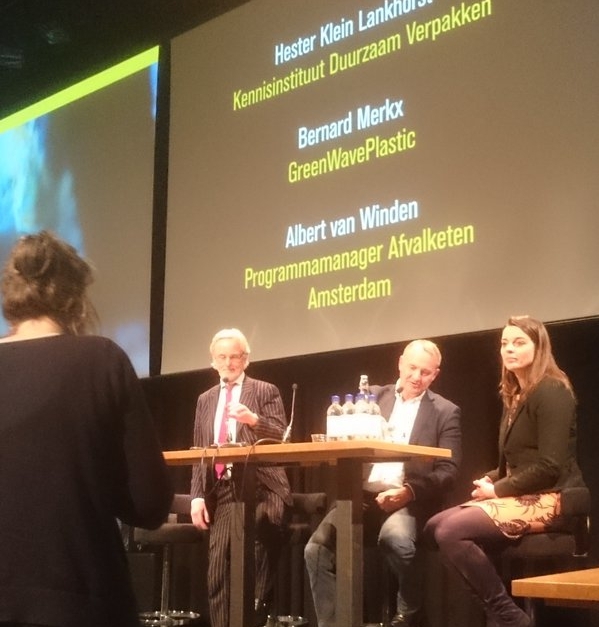 Speakers ranged from smaller scale, independent and neighborhood initiatives all the way to members of NRK Recycling and the Dutch plastic recycling industry. INTERMISSION: WASTED COMING TO A NEIGHBORHOOD NEAR YOU? We’d like to take this opportunity to start a conversation with those living in Amsterdam, and beyond. As you’ll find below, plastic is quite remarkable. With CITIES’ WASTED project (also more below), we’re working together with communities to co-create new plastic futures. We want to know: do you live in Amsterdam? Would you like to see WASTED in your neighborhood? Please write to us and let us know what neighborhood you would like to see WASTED in. Do you live in another city all together? We’d also like to hear from you. 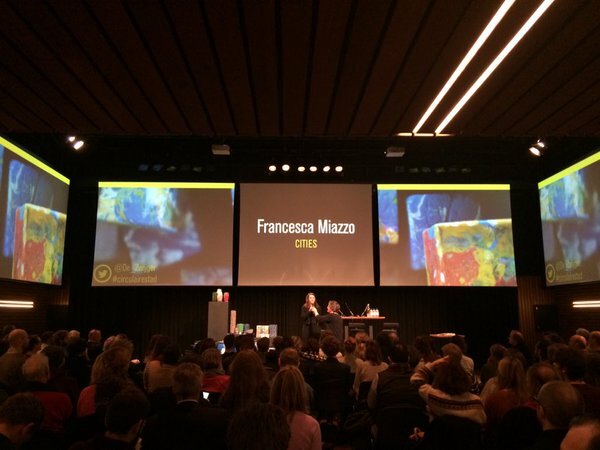 The evening sparked with an introduction from Francesca Miazzo, CITIES’ managing director and co-founder, who depicted plastic’s present challenges and opportunities with a view toward the future. 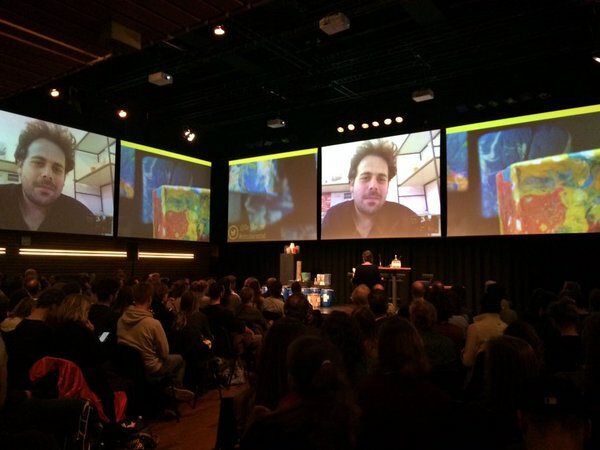 Designer Tal Erez followed via Skype from Tel Aviv. Working at the crossroads of material, industry, culture and art, Erez elaborated on research related to his project “Plastic: Promises of a Home-Made Future”, which is in collaboration with the Het Nieuwe Instituut in Rotterdam. Taking us on a journey through plastic’s history, Erez zoomed in on plastic’s role in the world of modern 3D printing, opening debate around plastic’s potential to establish a new democratic and sustainable future, or fall victim to capitalism and become a tool for newfound commercialization. An example portraying this concern was MakerBot. This 3D printer manufacturing company started out as a completely open-sourced project. As they grew, new models’ technical information became inaccessible. Soon, the company sold for millions and became associated with military industrial pursuits. Jonas Maartens of Better Future Factory responded with practical knowledge and experience. His Perpetual Plastic Project (PPP) uses small-scale machines to turn plastic cups into recycled 3D printer filament. Maartens made clear that in order to grow – and to deliver an intended impact, he had to become a company. 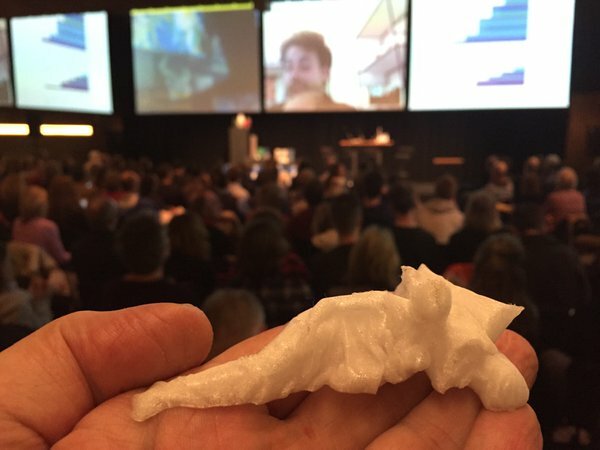 Will PPP follow a similar trajectory of MakerBot? Practitioners, engineers and designers must be cautious of traditional market, and other, circumstances as a new culture of circularity is advanced. Next, Dave Hakkens approached the stage. A pioneer in present day low-tech plastic reprocessing, Hakkens never really saw plastic as waste. He saw possibilities – that plastic is easily recycled, malleable and abundant. So, he built his project Precious Plastic. The goal was to self-create a small-scale plastic (re)processing workshop. Succeeding, Hakkens has impressive open-source blueprints available online. These plans help enable other’s in building and running their own workshops. One goal is for communities harder-hit by plastic waste in ‘developing’ countries to benefit. How can projects like these achieve scale? How can more people be motivated to take action? WASTED project manager Barbara Koole came in behind Hakkens to share a community-activated approach to plastic recycling and upcycling. In their pilot area of Amsterdam Noord, WASTED accrued over 500 participating households that collected their waste as part of WASTED’s reward system. The reward system serves as an incentive for people to collect waste, as it spurs individual and collective community benefits by partnering with local businesses that offer deals and discounts in exchange for WASTED’s plastic currency. With the locally collected plastic, WASTED also uses self-built, small-scale machinery to create blocks that can be used to built items by and for community, such as tree planters for the park. The project also features an Education Package targeting youth. Behavioral change is the ultimate goal, in pursuit of more sustainable and circular urban infrastructure and practices. WASTED is currently seeking to expand, developing potential long-term business models to self-sustain a circular project in a linear-accustomed world. 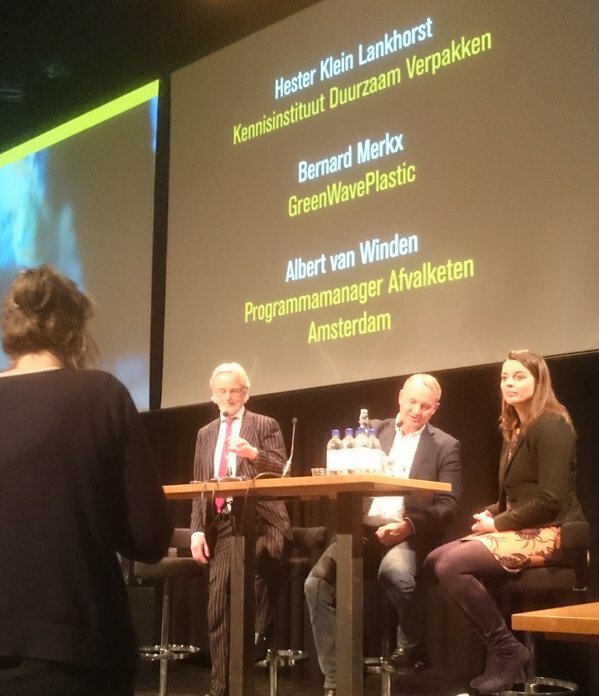 Bernard Merkx of GreenWavePlastics and NRK Recyclers of the Dutch plastic recycling industry, Hester Klein Lankhorst of the Knowledge Institute Sustainable Packaging and Albert van Winden from the City of Amsterdam came together as a diverse trio of professionals contributing valuable insight to the final debate. Ultimately, it was made clear that plastic presents ample possibilities, is increasingly recognized as a valuable resource and raw material – not as trash – and that industry, companies, cities and citizens alike can together eke out more sustainable, circular and productive plastic futures. 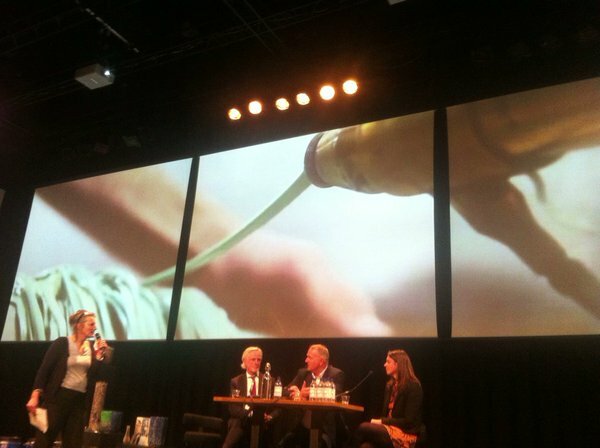 Egbert Fransen, director of Pakhuis de Zwijger, closed the evening by announcing that Pakhuis de Zwijger will be the first establishment across the River IJ to accept WASTED’s plastic currency. This is in conjunction with WASTED’s collaborative role in realizing a waste pavilion for the Europe by People EU2016 FabCity initiative taking place from April to June 2016 on Kop van Java island as part of the official cultural program during the Netherland’s EU Presidency. WANT TO LIVE OR RELIVE THE ENTIRE EVENING? VIEW ONLINE! "If you want to influence reality you have to have dirty hands". On Friday the 20th of September, we have been working with METABOLIC and Alastair Fuad-Luke on a workshop to map the food habits of our guests. Results were useful to start discussing about fresh and local food consumption. Fall 2014, We Own The City World Tour lands in Taipei, sparking engaging discussion replete with local stories, bottom-up and top-down practices and everything in between.